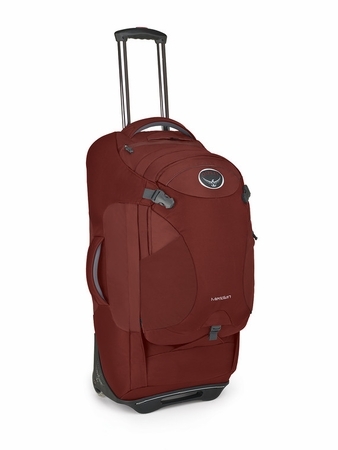 The rugged HighRoad™ chassis forms the bag’s rolling foundation. When you reach the end of the pavement, unzip the rear panel to reveal technical backpack suspension. A mesh backpanel provides outstanding ventilation while mesh covered hip belt and shoulder straps cushion your load on the trail. The suspension system is highly adjustable to fit a wide range of torso sizes and can be removed entirely to add more packing capacity when you need extra volume. 4577 in3 / 75 l | 28h x 14w x 13d in. | 7.61 lbs.